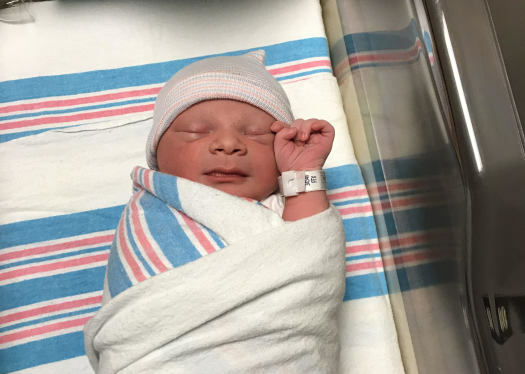 Congratulations to Michelle on the birth of her son, Jack! Michelle had some failed situations along the way, but she held on to hope and kept the faith. Thirteen months later, she welcomed her sweet baby boy into this world. Michelle was able to visit with her amazing birthmother and develop a strong bond with her. Michelle is so thankful for her strong birthmother who bestowed this gift upon her. We're so happy for you! Travis and Barron began their second adoption with LifeLong, and only one month later, they matched with their brave birthmother! They developed a solid relationship with this amazing woman. 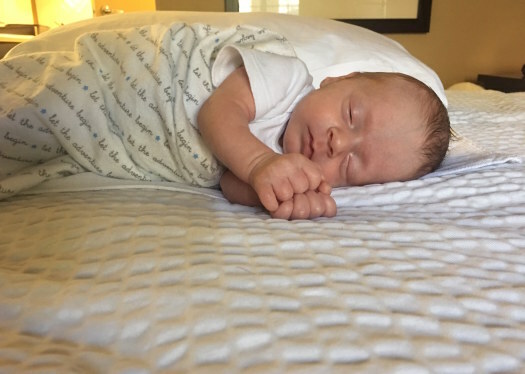 Five months after starting with LifeLong, they welcomed their son, August William. He joins big sister Olivia and big furry brother Griffith. They are overwhelmed with gratitude for their selfless birthmother. LifeLong is thrilled to be a part of their second adoption journey. Congrats Travis and Barron! 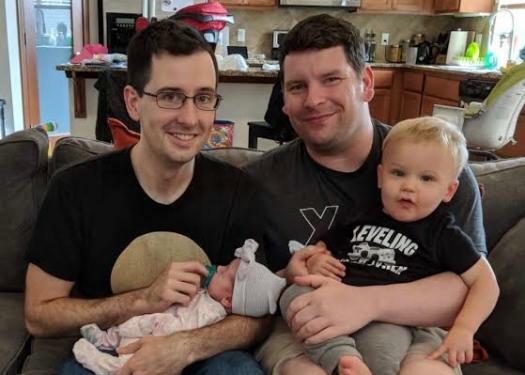 Only five months after David and Steven joined LifeLong, they welcomed their son Sawyer Skye! A week before her due date, an amazing expectant mother picked them and they connected with her. Their quick call to action had them driving down to the expectant mother's home state just days after being matched. They arrived in time to be present for the birth of their son and are just in awe of their inspirational birthmother. Although their time to get to know her was short, they are forever grateful for her and this blessing. Congratulations to David and Steven! Jason and Linus, along with their two-year-old son, welcomed sweet Alexander Jackson when he was only a few days old. They endured some bumps in the road after back-to-back attempts to adopt had failed, but the third time was the charm and they lovingly and willingly pursued this last-minute connection with their whole hearts. Congratulations, Jason and Linus on your beautiful family and sweet son, Alexander! 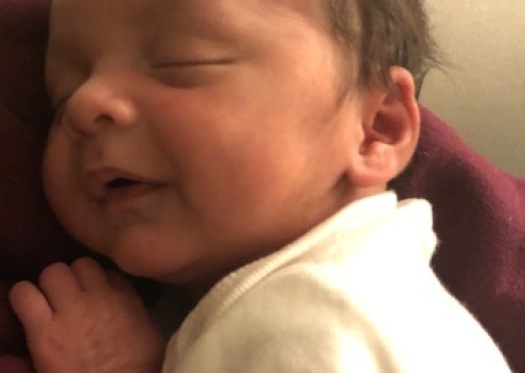 Josh and Bing were going through a long and quiet wait, but then they received the news that their son, Nolan Alexander was already born and waiting for them in a neighboring state! In a very short period of time, Josh and Bing were able to build a sweet and hopefully long-lasting relationship with their birthmother. The full family was finally brought together and they could not be any more overjoyed! Congratulations! It was a long journey for Gary and Christen as they awaited their hearts' desire. 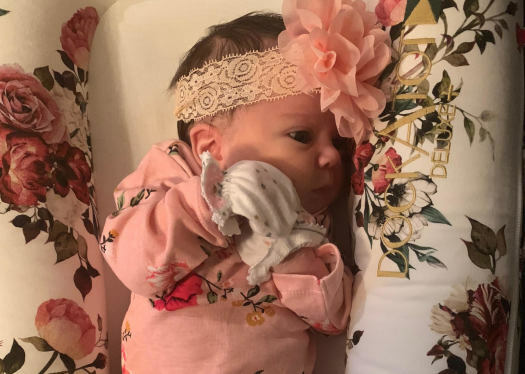 Their dream finally came true when they were connected with their birthmom and welcomed their daughter Hailey. When Hailey's birthmom came to us for help, all she wanted was a loving family for her daughter. This family gave her their whole heart and truly welcomed the opportunity with open arms. Their dream finally came to fruition and we were all able to celebrate the welcoming of Hailey. Congratulations Gary and Christen on your beautiful daughter! Just about one year after Amy began her journey with LifeLong, she was holding her son, Jacob Leo Wilson, in her arms! Amy adopted in 10 months and is so thankful for her amazing and courageous birthmother Lauren. Amy and Lauren had the opportunity to meet one another and build a relationship along the way. Amy is forever grateful for the gift Lauren has given her. Congratulations Amy! 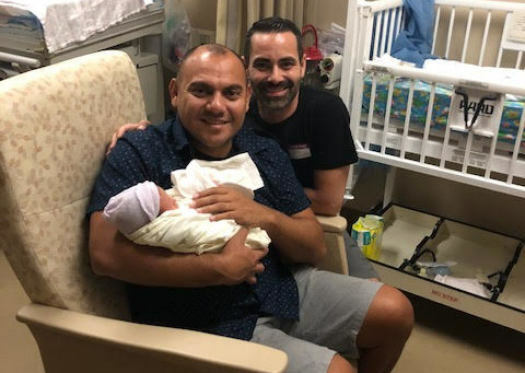 Just two months after their profile started being presented, Luis and Christopher were chosen by an expectant mother Makayla, and they began this beautiful adventure together. Luis and Christopher welcomed their daughter Mireya, and their brave birthmother Makayla was amazing throughout their journey. The three of them instantly bonded and had multiple visits and even held a gender reveal party! The special relationship they developed from March to October will forever be close to their hearts. These two fathers are so very grateful for their strong and courageous birthmother and the gift they now hold in their arms. Congratulations Luis and Christopher! Chris and Jeff began their adoption journey hoping to hit the ground running, and sure enough, they did! An expectant mother had chosen them early on in her pregnancy but waited until she was delivering at the hospital to call and ask the family to be present and meet her in person. Lives were all changed that day as what she thought she wanted was a closed adoption ended up being a beautiful loving relationship with the adoptive parents of her daughter, Paige. We are so grateful for the opportunity to be a part of their story! Congratulations Chris and Jeff on your sweet bundle of joy, Paige! Randy and Thang experienced some heartache along the way before being matched with their birthmother Cristinna. They connected with her in June and welcomed their son on September 5. With the help of their Adoptive Parent Coordinator, Melinda, they placed 10 months into their adoption journey and their little one was worth the wait! Their birthmother Cristinna was an amazing person who they had a chance to visit with and communicate with often! Cristinna kept them updated daily on her activities and health. Randy and Thang were so grateful for their birthmother. They are excited for baby and the opportunity for Cristinna's outlook and future. Randy and Thang were so thankful for Cristinna's trust. We thank their birthmother and congratulate Randy and Thang on the birth of their son! Eddie and Orby had a long and quiet journey for the majority of their time with us. Nearing the end of their journey they started to wonder if there was a light at the end of the tunnel when one day, it all changed. In a whirlwind, an expectant mother due in a matter of weeks chose them and before we knew it they were heading to the hospital. This strong birthmom had the support of her own mother behind her which was so valuable in this difficult time. 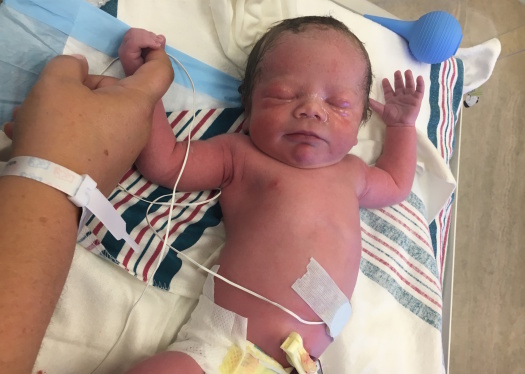 The family had the blessing of knowing ahead of time that the C-section was scheduled, so they were able to be present for the delivery of their son, Levi, on August 2, 2018. Congratulations Orby and Eddie on your own little miracle! Jackie had an unusually fast journey, but we know when the timing is right and the heart is open, miracles happen! 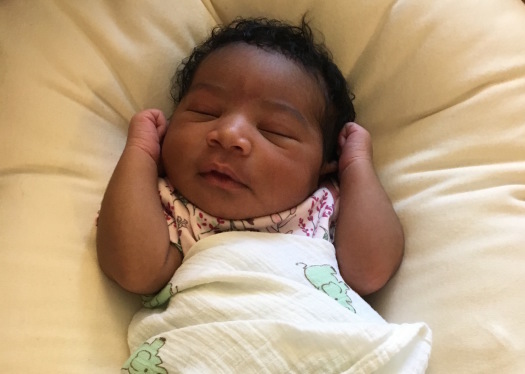 Jackie was connected with her birthmother in July and Kayla D'Asia was born on August 09, 2018! 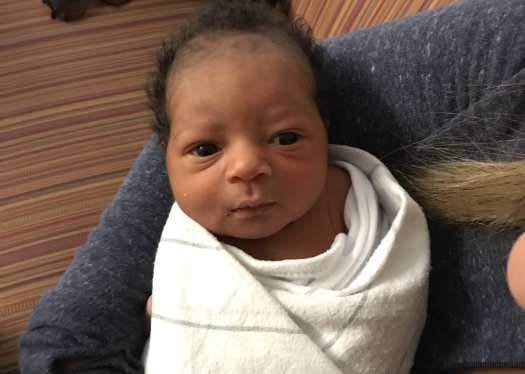 With the help of Jackie's adoptive parent coordinator Jenee and birthmother coordinator Nicole, this whirlwind was successful and her life changed in the blink of an eye. Congratulations Jackie on the birth of your daughter Kayla D'Asia from all of your LifeLong Family!